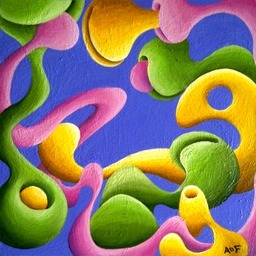 A Gallery of Archived and Older Paintings by Amy Ferrari. Pure Abstraction is my very favorite subject matter. The shapes become characters, and end up having lots to say!